While I’m just greeting a new month, I’m already thinking about all the goodbyes that will come. September definitely comes packed with emotions, since by the end of the month I will be packing all of my things and moving to a new country to which I have never been… again. Colombia has been great. I got the chance to visit amazing places, get in touch with its culture, but most importantly, meet amazing people, many of whom became great friends. 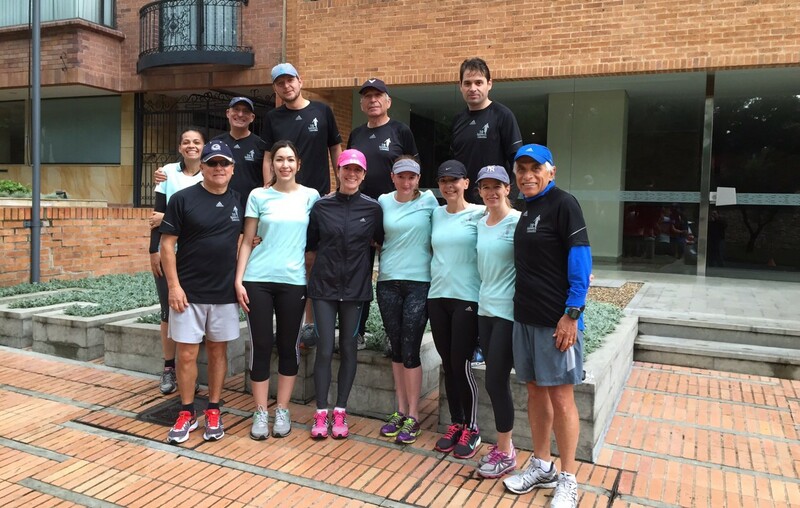 Through training I got to meet people from two teams: 7/8 Runners and Team Trainer. 7/8 Runners is a group of friends that has been running for a long time. Some of them meet on weekdays, while most meet on weekends. This group is quite diverse in ages and backgrounds, making it really interesting. We ran in various courses, but the start and end point were always the same. I truly enjoyed hanging out in the same café after each run, talking about many topics, even some senseless jokes. No one took running too seriously, since running was just a way of having a good time. But don’t get me wrong, they are great and fast runners. Team Trainer is a triathlon team. It has a more serious and organized approach. 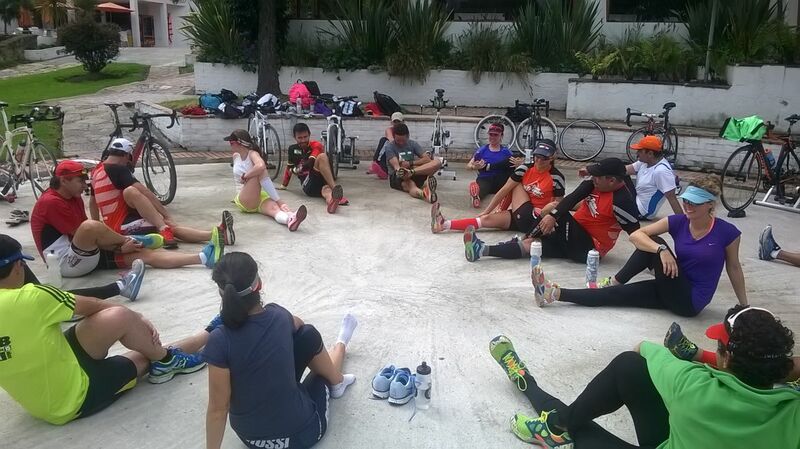 The team is coached by Edwin Vargas, former professional triathlete. Each one of us receives a plan of training sessions for each day of the week, including swimming, cycling, running and strengthening. This group has athletes of different levels. All of them are very inspiring and have helped me a lot to improve my condition. Thanks to them I was able to reach my goal for The San Francisco Marathon this past July. I must mention as well that I also have other good friends that might not have run, or trained with me, but were there listening to all my stories about training and rooting for me. That must have required a lot of patience. I realize that when I came here I didn’t know what to expect, and time here has been a great phase in my life. I will miss Bogota (teary eye). You are right! We might meet ahead, and I really hope we do.